Dr. Natalie Mansour knew since she was just a kid that she wanted to work with children. She is dedicated to treating all children with the utmost of care. Dr. Natalie’s underwater themed office provides an enjoyable environment for the children to play and receive treatment designed for them. She hopes to provide them with a good experience that will teach them that going to the dentist can be fun. Dr. Natalie was born and raised in Los Angeles. She graduated from Marymount High School and later the University of Southern California with a degree in biology. She then went on to Nova Southeastern University where she completed both her Doctor of Dental Medicine degree and her two year postdoctoral specialty training in Pediatric Dentistry. 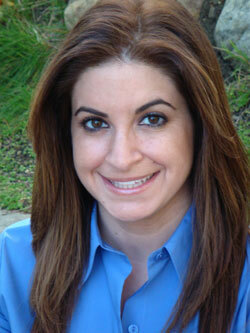 In addition she is also board certified which makes her a Diplomate to the American Board of Pediatric Dentistry. She is a member of the AAPD, ADA, CDA, LADS, and SFVDS. In her spare time she enjoys working out, traveling, and spending time with her family and friends.